Each first Sunday of the month (excepting those in the Summer holiday season) you can hear J.S. 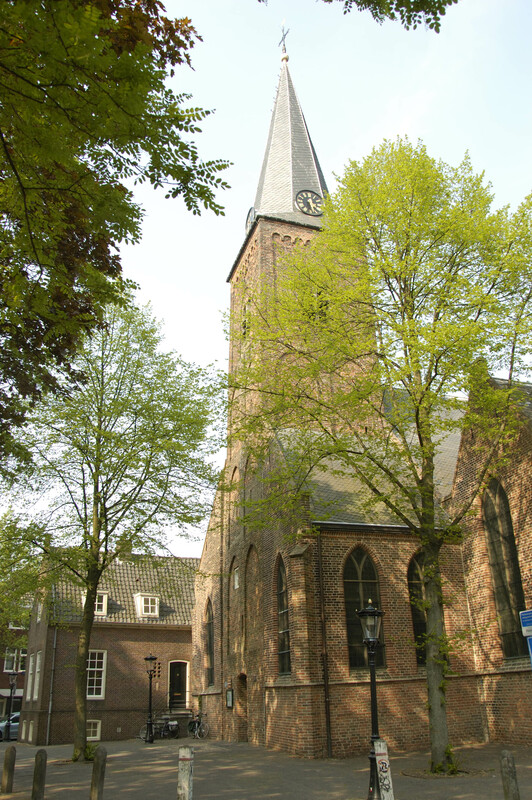 Bach’s Church music being performed in the Church Geertekerk in Utrecht at 7.30 p.m. The performance has a mixed character, between a concert and a church service. Admission is free, although there is a voluntary retiring collection. 3511 XC Utrecht, The Netherlands. The performance of the cantata itself is preceded by an introductory meditation touching upon the text of the cantata. The audience may join in the singing of the four-part closing chorale. Anyone can join the orchestra or the choir. No membership fee is required, but we very much appreciate your voluntary donation. This has been our motto since 1967, and it still is. Singers wanting to join the Cantata performance on Sunday evening should attend the rehearsals on Friday evening (from 7 p.m. until 10 p.m.), Sunday afternoon (from 1.30 p.m. until 4 p.m.), and the general rehearsal at 6.30 p.m. prior to the performance. Sheet music is available (about € 4,- for an abstract) at the information stand in the Church. Singers may join for individual Cantata weekends. For more information, please contact the coordinator. The members of the orchestra are well-trained amateurs or professional musicians. New members with good musical skills are welcome to join. After subscription the participants for each Cantata are placed by the coordinator. For more information, please contact the coordinator. As of January 2013 Gerrit Maas has been appointed as the successor of Gijs Leenaars who resigned from the Bachcantates Utrecht in June 2012. You will find the programme for the current season under Programma. The concert starts at 7.30 p.m. and lasts about an hour. After the concert you are welcome to stay for a coffee or tea. Everyone is very welcome to come and join in! If you want to cantact us, please send us an e-mail bachcantates.utrecht@gmail.com. For specific addresses see Contact.